- as if to exemplify his obsession with star wars, sam has started referring to mike as master. which of course means that mike is referring to sam as young padawan. sam also said that i'm like qui-gon jinn (because of my hair, not my beard or my awesomeness). 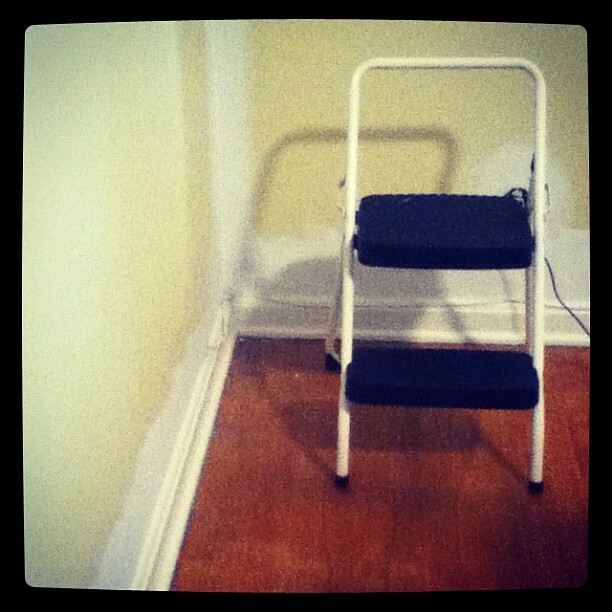 - painting has begun, and "grandma's room" is slowly being converted to "sam's room". i'll miss that cheerful yellow-y color, but i'm willing to sacrifice it so that sam can have his beloved blue walls. sam's comment on seeing his room in progress was, "wow. wow." when mike said that there really wasn't much to see yet, sam replied, "i know. but i like it."